I watch the Grammys every year. Even though the past few years I don’t really love current music, I still watch the Grammys just in case. Just in case U2 will open the show, as they have in the past. Just in case there is a special tribute to an artist I like. Just in case Lisa Marie Presley is a presenter, as she has been in the past. Just in case there is a great collaboration, as there usually is every year. Just in case there is some new music I should hear. 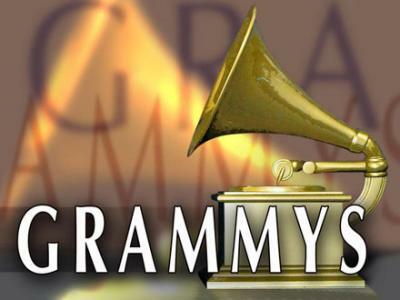 So even though I don’t think the current state of music is particularly great, I watch the Grammys each year just in case something great happens. Grammy’s are my favorite night of television! love seeing all the talent being celebrated. yeah i do love the award shows. i just enjoyed them more when i loved the current music. thanks for stopping by. Hi Deena, love your pups. I have the other side of the problem, even though I’m a million years old, the Grammy’s don’t usually reward the alternative music I think it should. Popping in from the A-Z. thanks, yes they are my babies. not sure what you mean by the other side of the problem though cause i like alternative music as well. i just don’t like a lot of what is going on in music today as a whole.